The Roselle man found with more than 40 dogs living in severely unsanitary and inhumane living conditions in his home last month has been charged with more than 30 criminal offenses, acting Union County Prosecutor Michael A. Monahan announced Wednesday. Evelio J. Calderon, 40, is charged with two 3rd-degree animal cruelty offenses, 14 counts of 4th-degree animal abuse by failing to provide care, and 15 counts of failure to provide necessary care to an animal, a disorderly persons offense. The charges were filed after the dogs were medically evaluated by veterinarians. 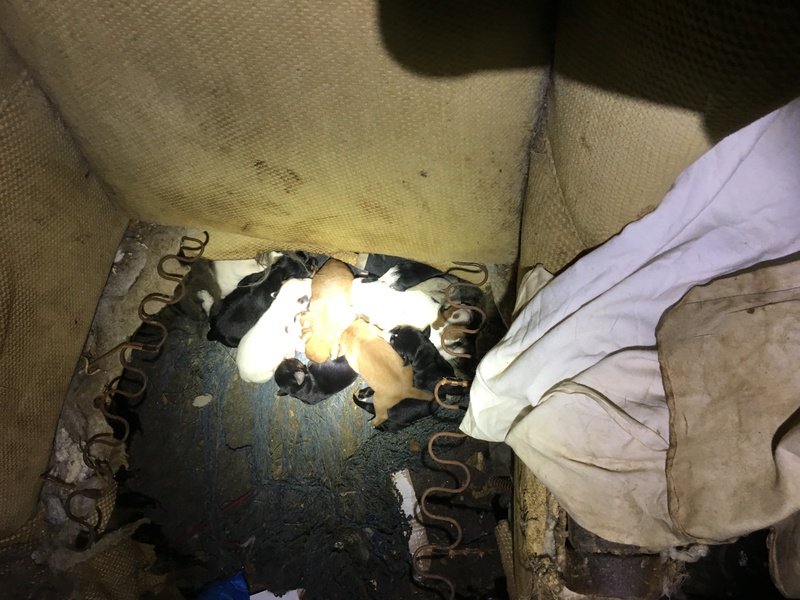 Members of the Prosecutor’s Office, the New Jersey Society of Prevention of Cruelty to Animals (SPCA), Roselle Police Department, and Roselle Board of Health last month searched Calderon’s home on the 700 block of Thompson Avenue in Roselle. 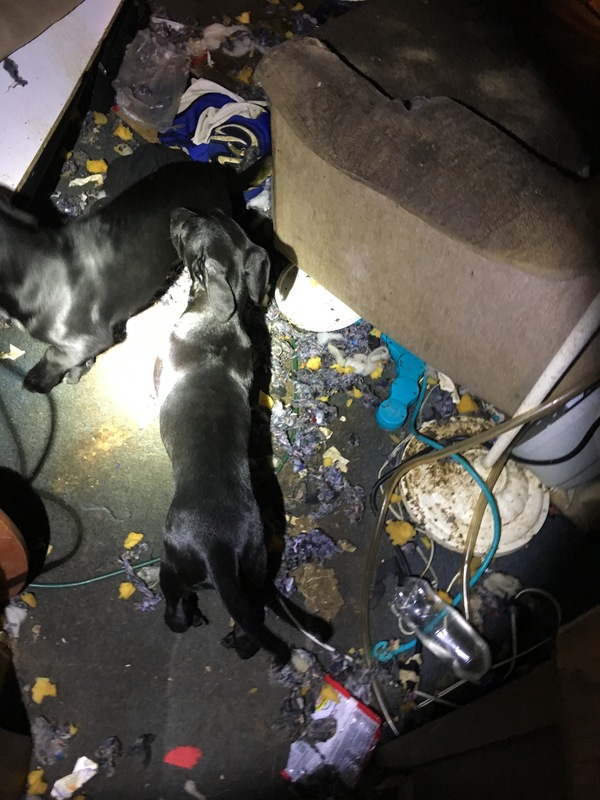 Inside, investigators wearing full hazardous materials suits found the animals living in squalor, having been locked inside and forced to relieve themselves indoors for an indeterminate amount of time. The dogs ranged in age from puppies several days old to seniors, varying widely in breed and size, and several were treated on site for acute injuries that included malnourishment, joint problems, and eye issues. Additional injuries to the dogs outlined in the charges served on Calderon included visible worms, infected wounds, scars, scratches, and overgrown nails with related lacerations. One of the dogs was missing an ear, while another was missing its tail. Members of the Cranford-based Traveling Paws Animal Rescue assisted in attending to the dogs, which were taken to four shelters scattered across New Jersey, including the St. Hubert’s Animal Welfare Center in Madison, The Last Resort Animal Rescue in West Milford, and the Edison and Montclair municipal animal shelters. 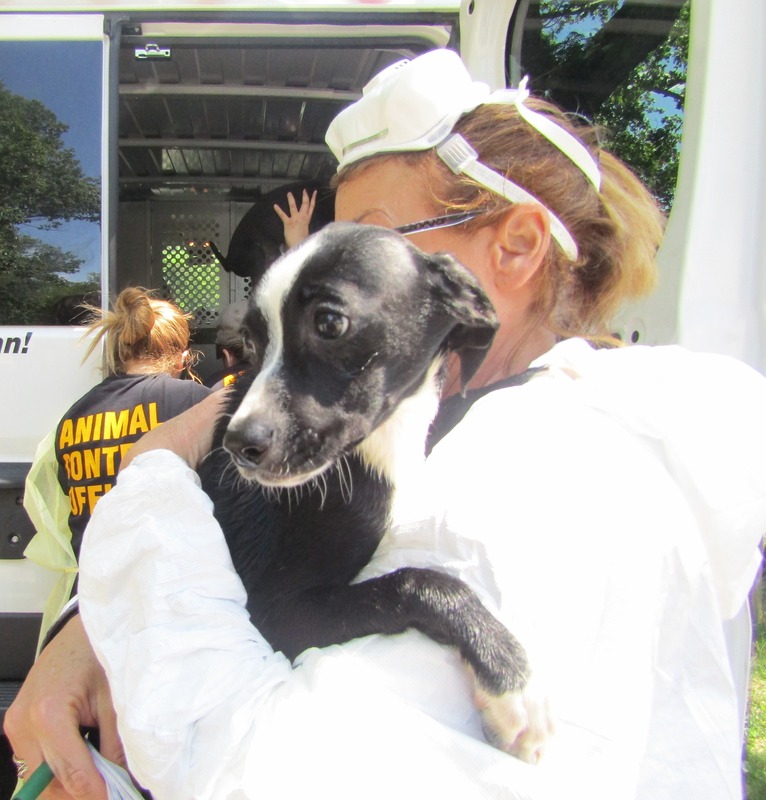 Darcy Del Castillo, supervisor of the Associated Humane Societies based in Newark, arranged for the dogs’ placement and transport.